As we move towards autumn the days are going to become shorter while our days will only become busier. What better time to stock up on some great neutral eye shadow shades that will make your morning routine just that much quicker and easier. 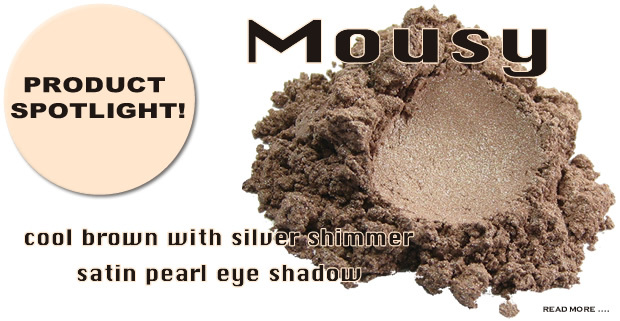 Mousy is a cool brown shade with silver shimmer. A fantastic neutral that works well with all eye colors and skin tones. Part of our Soft Browns Smoky Eye Collection, Mousy is complimented by Plaster and Magnetic. For a limited time enjoy special pricing on Plaster, Mousy and Magnetic!